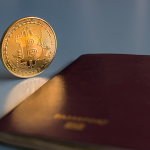 The crypto regulations wave has begun and for the next two years, we expect to see more and more jurisdictions establishing legal frameworks and restrictions. Although currently ICO’s and cryptos are an unregulated field in most countries, at least in what refers to specific regulation that embraces its unique characteristics, they are on the agenda of all world’s top financial services regulators, so, in 2018 and especially in 2019, this will change. Some countries are taking the lead with blockchain friendly regulations to take advantage of the full potential of the technology, capture its value and positively impact their economies. Bermuda, for instance, is creating crypto friendly legislation to attract the soundest industry players. The first legislation came into effect on July 9 and provides a legal framework for ICOs. ICOs have become a restricted business activity and they now need the consent of Bermuda’s Ministry. In addition, it is expected that the Digital Asset Business Act will come in to force shortly which will regulate exchanges and wallets. On July 9th, the Companies and Limited Liability Company (Initial Coin Offering) Act 2018 (the “ICO Act”) came into force, which amends both the Bermuda company and limited liability company laws. The Ministry also published the “ICO Regulations” which establish ICO’s minimum information required and compliance measures to adopt. ICOs are now a restrictive business activity and must go through an application process to get the final consent from the Minister of Finance. The legal framework only applies to public offers. ICOs carried out through totally private sales or ICOs sold to persons whose ordinary business involves the acquisition, disposal or possession of digital assets are not covered in the new legislation. Only companies incorporated in Bermuda are eligible to obtain such. This includes LLCs, and companies limited by shares, whether they are exempted companies or domestic companies. The legislation includes most of the forms of blockchain assets, be they cryptocurrencies, security tokens, utility tokens or equity tokens. Any ICO that makes a public sale of tokens to more than 35 entities or individuals must secure the Ministry’s consent. During the application process, the Bermuda Monetary Authority (BMA) will advise the Project’s promoters if the proposed token falls under any other law. If the token is subject to other laws, for instance, any asset-backed tokens, equity tokens or any other type of security tokens, it must be registered with the BMA. Registering a security token in Bermuda or elsewhere may not inhibit you from having to register in the jurisdictions where you market your Token Sale or where your participants are located. For instance, if you register a security token in Bermuda and market this security to Singapore, you may need to register the security and comply with security laws in Singapore as well. The regulations establish a series of requirements in relation to the minimum information to be disclosed which must be included with the ICO document offering and attached with the application. Such minimum required information includes details of all natural and legal persons involved in the ICO and if they are authorized under any other law, the details of the project, products, services, and means of financing and funds allocated to carry out the ICO. You will need to detail how and when the digital asset will be issued, the token sale metrics, accepted currencies and the amount of money to be raised, in which projects and items you will allocate the funds raised and how any surplus funds will be handled. You must describe comprehensively the functionalities and characteristics of the digital asset and when these will be active, including a detailed roadmap, in addition to a general risk warning of the ICO. The application must include what your compliance policy will be and how you will enforce it, what systems or software and the protocols and mechanisms established for risk prevention and management, in addition to the measures to enable an audit of the said compliance process. You will be required to adopt a series of KYC/AML & CTF measures to identify and verify the identity of participants and the maintenance of records. In addition to determining supplementary measures in high-risk circumstances, which may require enhanced due diligence and confirmatory certification by an AML/CTF regulated financial institution. After the ICO you will need to prepare and file a compliance report with the Registrar. ICOs must also comply with the requirements established for the security of digital assets, confidentiality, the disclosure of information and any other matter covered by Bermudian laws. 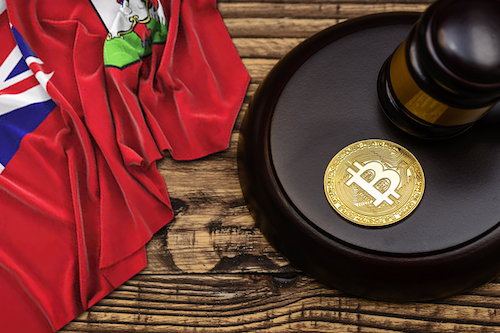 The Digital Asset Business Act (DABA) is the second piece of legislation that will regulate the cryptocurrency industry. The legislation has been approved by the legislative chambers of Bermuda and will come into force shortly. The DABA will regulate centralized crypto exchanges (regardless of whether they support fiat currency), custodial wallets and digital assets service vendors including custodians, brokers and market makers. The BMA will grant two types of licenses – a class F license, for an indefinite period; or a class M license, for a defined period determined by the BMA, which will be renewable. To obtain the license, the business must maintain its Head office and the place of effective management in Bermuda and comply with certain requirements, such as an officers’ fit & proper test, adopting the appropriate measures and systems related to prevention of money laundering and terrorist financing, maintaining at least US$100,000 of net assets, risk mitigation measures and proper insurances to cover such risks, as well as other requirements that the BMA may consider appropriate according to the nature, size, complexity and risk profile of the business. 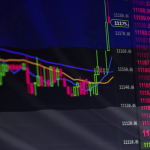 Accessing financial services continues to be one of the biggest headaches for ICOs, exchanges and crypto business in general. Bermuda is not an exception. Although regulatory certainty may help open traditional financial institutions to the industry, currently Bermuda’s banks are not accepting this type of business. The government is working on a series of amendments to the Banking Act to allow the formation of a new class of Fintech Banks for the blockchain industry to access banking services. However, this will take time, and these amendments may not be ready until October-November. By now, cryptocurrency businesses incorporated in Bermuda will need to find banking elsewhere. 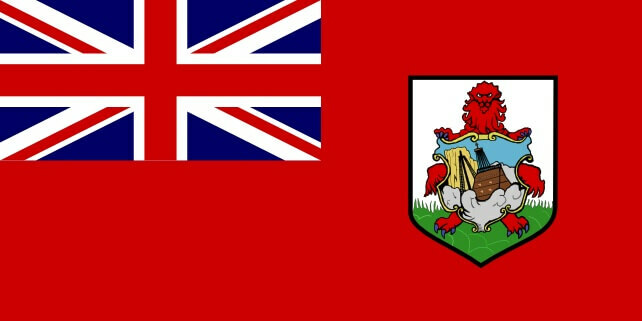 At Flag Theory, we can help you get an offshore corporate account for your Bermudian ICO to operate your business. In addition, we are leveraging our network to provide a Bermudian banking solution in the shortest time possible. We’ll keep you posted. 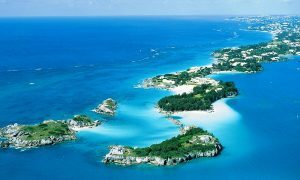 For those who are not familiar with Bermuda, it is an overseas British territory located in the Mid-Atlantic between the United States and Europe well known for its world-class offshore financial sector. Bermuda has an excellent reputation for its political and economic stability, its robust KYC, AML and CTF controls, high technology infrastructure, a pragmatic regulation, and a sophisticated business ecosystem. Bermuda is a tax-neutral jurisdiction, free from individual and corporate taxes, and its main corporate vehicles are the LLC, the exempted company and domestic company limited by shares. Exempted companies & LLCs do not have foreign-ownership/directorship and foreign exchange restrictions and enjoy protection from any newly enacted taxes on income or capital gains until 2035. Many Fortune 500 companies have set up a Bermuda exempted company for such as holding company, holding assets, trading, manufacturing, inter-group financing, shipping, aircraft leasing and holding of intellectual property rights, among others. Bermuda is also an insurance leader, with 900 captive insurance companies and almost half of the world’s leading reinsurers, and perhaps soon, a Blockchain hub. If done right, crypto regulations can provide great benefits in the industry and lead cryptocurrencies to massive adoption. Regulations can legitimize the sector and potentially eliminate fraudulent actors that unfortunately have been common these last years. Countries like Bermuda, Gibraltar, Malta or Estonia are making smart decisions in this regard, providing regulatory certainty with non-restrictive legal frameworks to boost technological innovation. If you are planning to establish a regulated ICO in Bermuda, we can help you, from the corporate structure, incorporation, compliance, and banking to guiding you throughout the application process and the whole ICO. If you are considering other jurisdictions, whether to establish an ICO, an exchange or blockchain fund, contact us and we will empower you with the tools and information for you to make the right decisions. We here at Flag Theory have worked with dozens of ICOs, in fact, members of the Flag Theory team conducted a successful ICO reaching a US$22M hard cap in just a few minutes. This experience has given us a unique approach when it comes to ICOs, since unlike other service providers we know first-hand what works and the issues and setbacks that arise when structuring and conducting Token Sales. Contact us and leverage our experience and expertise to structure and conduct your ICO.